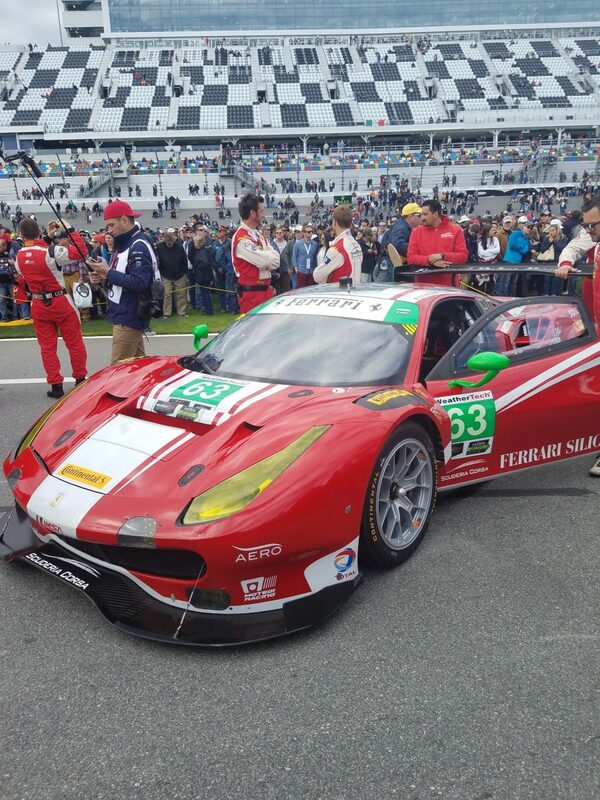 When it comes to American sports car racing, there is perhaps no greater test than the historic Rolex 24 at Daytona. For more than half a century, racing teams have converged in beautiful Daytona Beach, Florida to compete in this grueling duel of performance prowess. Legendary watchmaker Rolex has been the primary sponsor of the event since 1992, and their acute attention to detail is omnipresent — befitting of anything fortunate enough to bare the fabled watch brand’s name. 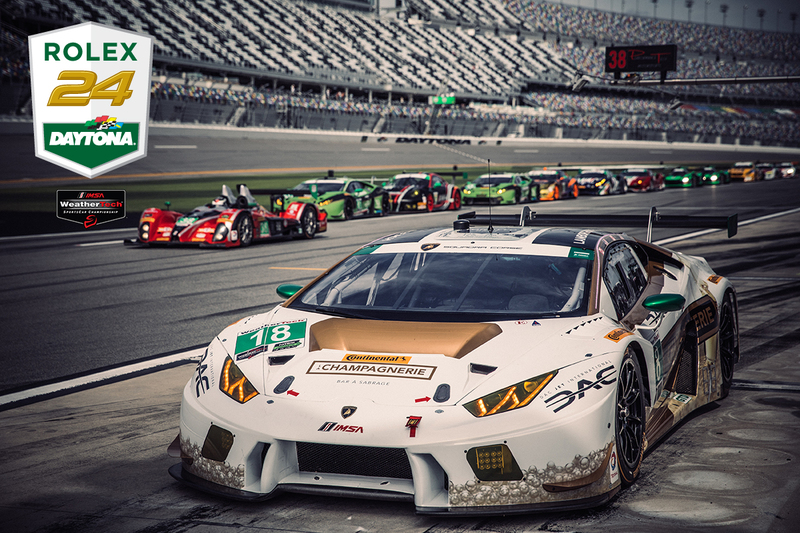 The renowned, 24-hour endurance race emblematizes the extent of Rolex’s longstanding relationship with motorsports, and for good reason. 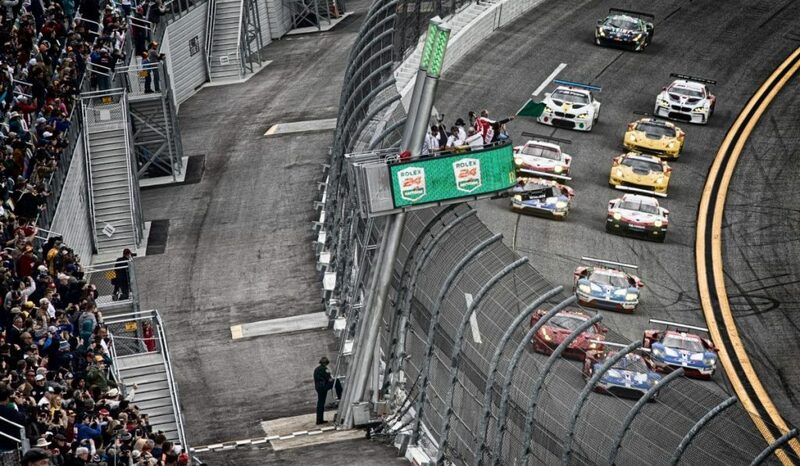 Daytona has a deeply-rooted racing history, dating back to the early 20th Century, when the illustrious Daytona Beach Road Course first allowed racing enthusiasts to battle for bragging rights. 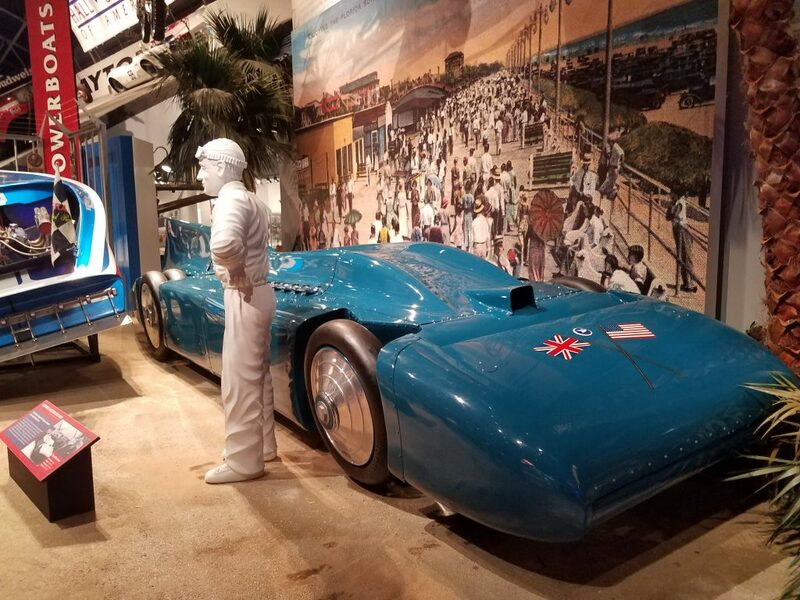 A number of land speed records were set on the sands of Daytona, including Sir Malcolm Campbell’s memorable, 276-mph run which took place mere months before he became the first man to drive 300 mph in one of his radical Blue Bird machines (a record immortalized via Daytona’s newly-remodeled museum). 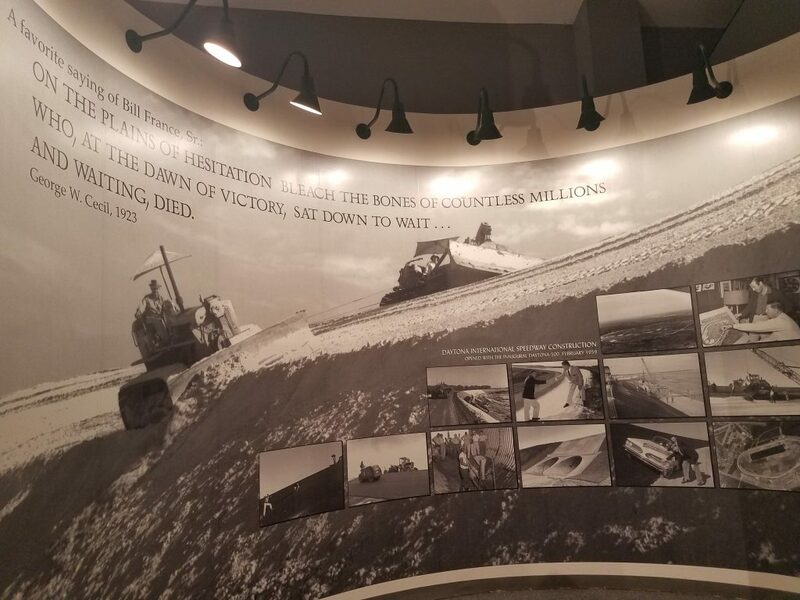 Eventually, the beach itself and parallel A1A Highway would become racing’s first super speedway and ultimately lead to the birth of NASCAR and the development of Daytona International Speedway. And thus it might go without saying that the inherent significance of this race would only further the level of reverence held by drivers, teams, manufacturers, and enthusiasts such as myself. Furthermore, with a title sponsor that so perfectly epitomizes success, refinement, and excellence, this particular weekend of racing offers much more than just the typical race day reward. 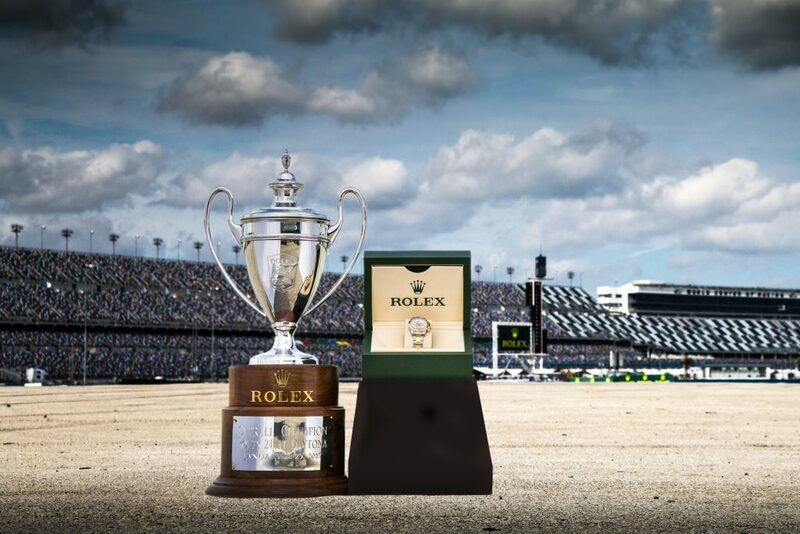 Originally created in 1963, the coveted Rolex Cosmograph Daytona is given to winners of all classes in the inaugural race of the IMSA WeatherTech SportsCar Championship series, and is clearly one prize on the bucket lists of many of the world’s premier racing professionals. This year’s race took place from January 27th-29th, and Jetset was invited as a VIP guest of Rolex for an event that represented the finest in both luxury hospitality and performance motorsports. 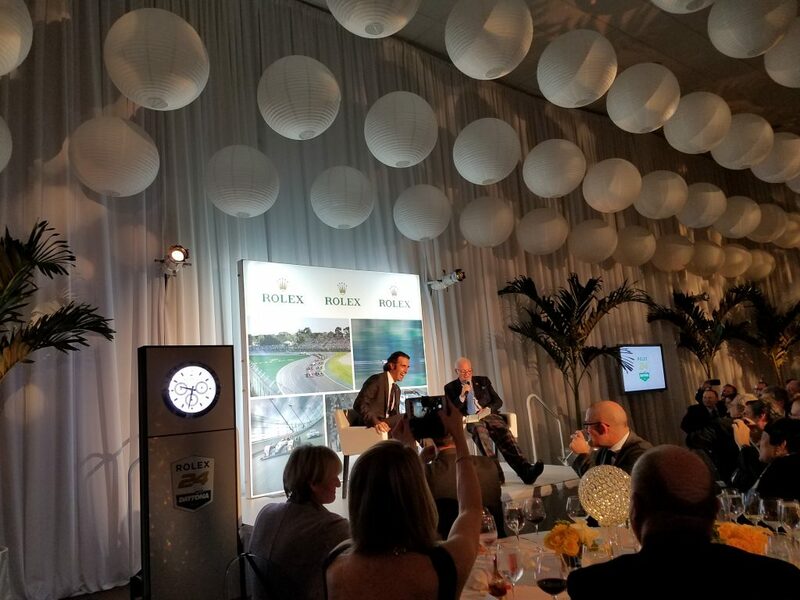 The weekend commenced with an exquisite opening night gala, as the 2017 Grand Marshall’s dinner honored highly-decorated champion Mr. Dario Franchitti inside the facility’s Daytona 500 Club (located on the infield of the stunning “World Center of Racing”). An unforgettable evening of fine cuisine and engaging conversation was amplified by an impressive line-up of the world’s most experienced racers —champions from nearly every significant racing series from the Indy 500 to Le Mans. 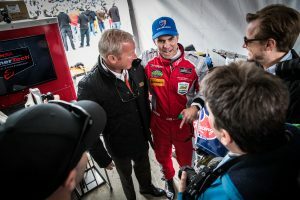 The event culminated with racing legend Murray Smith and Rolex USA President and event chair Mr. Stewart Wicht teaming up with Franchitti to discuss the history of the race and pay respect to the latter’s illustrious career. I would soon find mine. 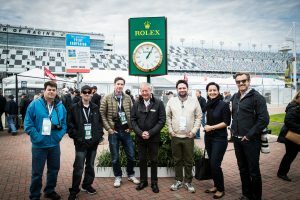 Shortly thereafter, the Rolex team gave VIP guests an opportunity to take hot laps with pro drivers in a handful of today’s hottest exotic sports cars. 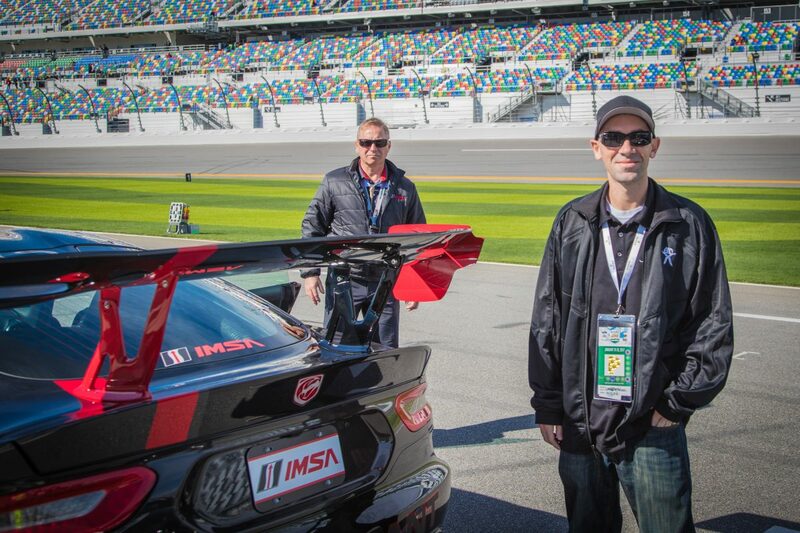 I opted for a familiar friend, the beastly Dodge Viper ACR, and was surprised to find another familiar face, a driver I knew from the Bondurant School, sitting behind the wheel. As we made our way around the oval, banked portion of the latter half of the storied course, my co-pilot informed me that he would also be driving this year’s Audi R8 pace car during the race. What a job, I thought to myself. With only a few short hours remaining until the start of the Rolex 24 at Daytona, each team presented their automotive masterpiece to the growing crowds of diehard fanatics and racing aficionados, giving the fans a unique opportunity to get up close and personal with their favorite cars and professional drivers. 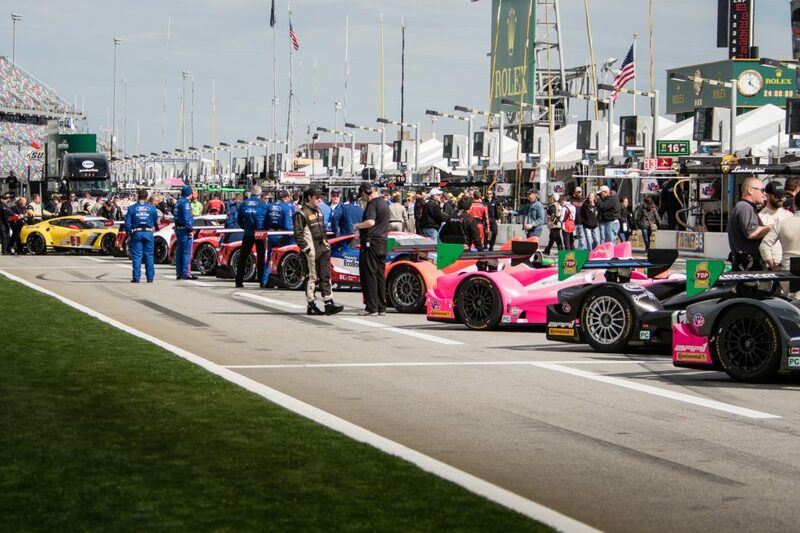 An abundance of today’s elite manufacturers were on-site to compete in the fabled endurance race, including familiar luxury car brands Ferrari, Lamborghini, Aston Martin, Lexus, Mercedes, Porsche, and, in a much-anticipated return, American-bred Cadillac. Soon the crowd dispersed and drivers were given the iconic “start your engines” command. The race commenced to roars from the high-performance engines on Pit Lane and the cheers of enduring fans championing their favorite teams from the track’s world-class grandstands. 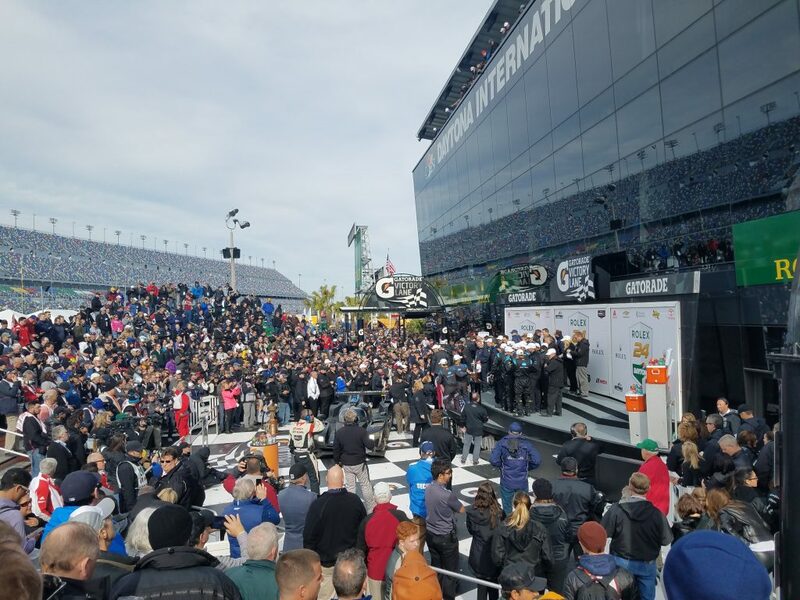 Daytona International Speedway is truly a remarkable racing facility, one that must be seen in person in order to fully appreciate the sheer magnitude of its grandeur. 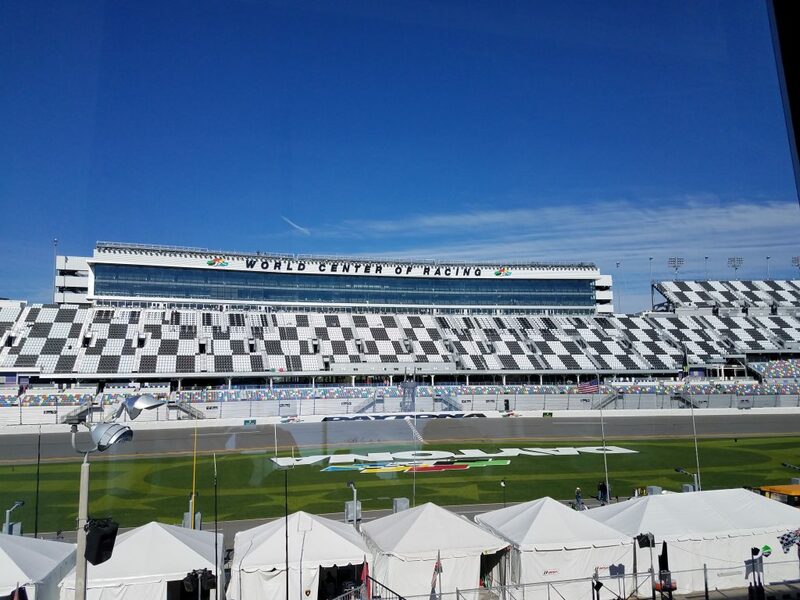 I spent the better half of the day enjoying the infield festivities and viewing the race from the comfort of Daytona 500 Club’s Rolex Suite. 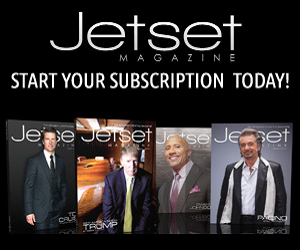 It provided an ideal vantage for what would be an unforgettable racing experience. As the afternoon clouds began to roll in within just hours of the race getting underway, it was fairly obvious that rain was to be in the forecast. 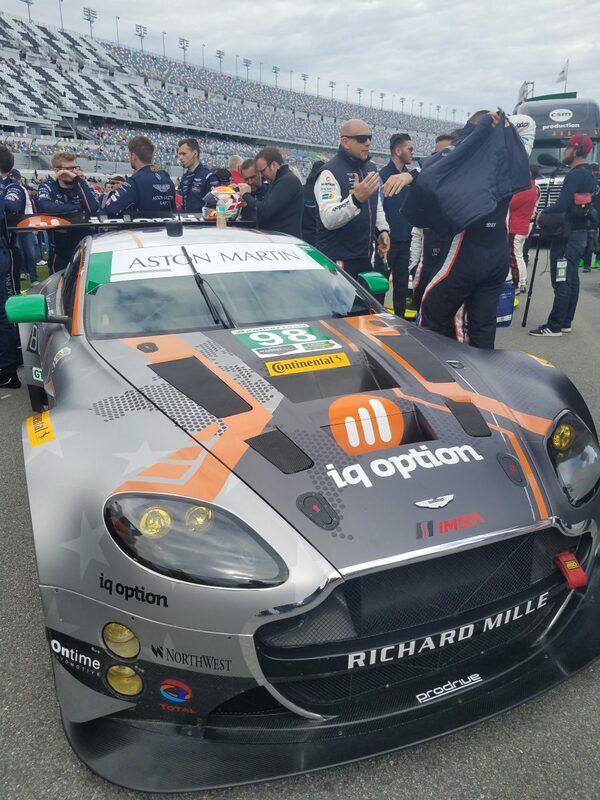 Precipitation is an integral part of the Rolex 24 experience, as in an effort to truly test the limits of attending drivers, the race is strategically planned during the last weekend in January when Florida’s weather is at its most unpredictable. And this year’s race did not disappoint in that regard. 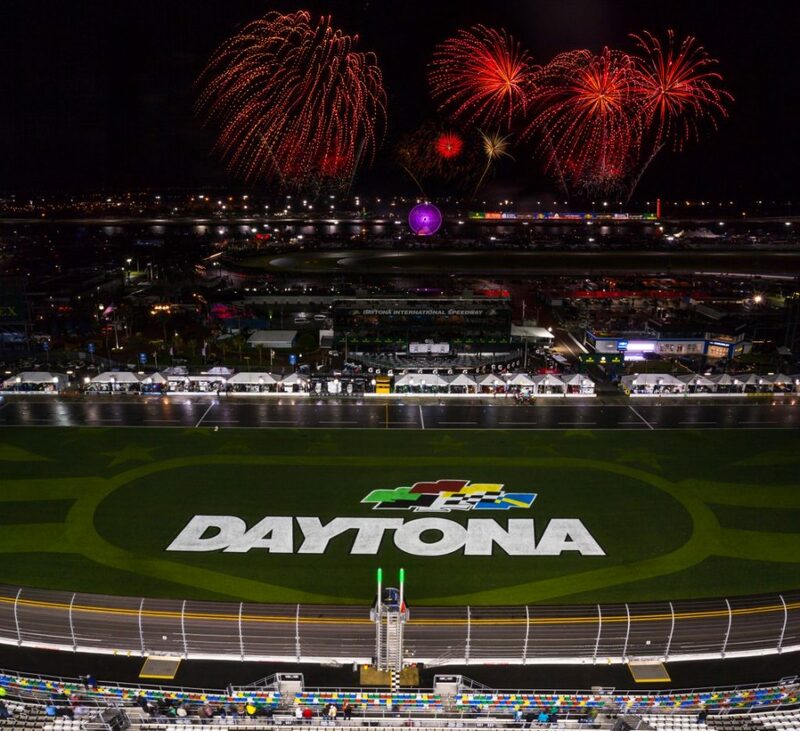 The race was inundated with rainfall which began in the early evening hours just before the crowd-pleasing Daytona fireworks were scheduled to be set off. 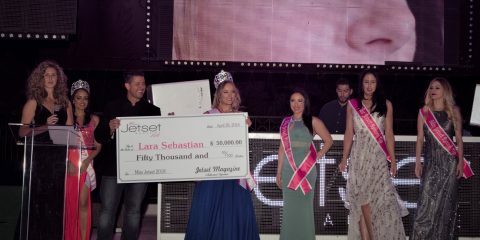 The downpour only aided the spectacle, livening the night’s skyline and enhancing the views from the mountainous grandstands of the track’s picturesque Ferris wheel and brightly illuminated swing ride. 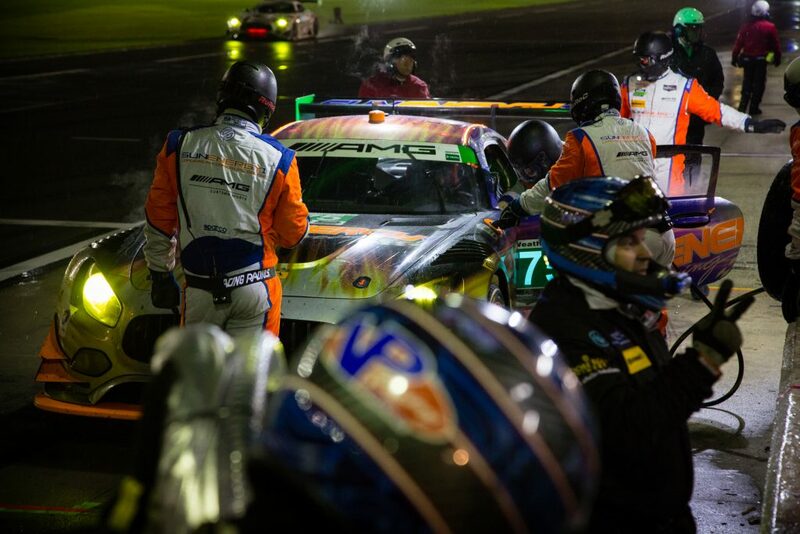 Rain would continue throughout the night and into the darkness of morning as drivers and pit crews worked rigorously in the soggy conditions and hours of caution flags. At one point during the wee hours of the morning, the entire field was brought to a mere crawl, and yellow flags lined the course for roughly two hours due to miserably wet track conditions. 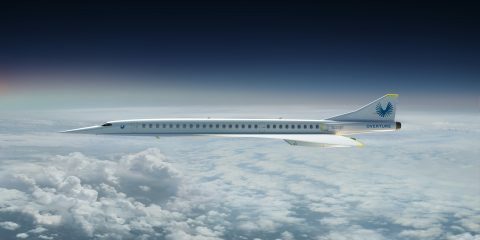 In total, there were more than seven hours under caution due to inclement weather. But as any true racing professional will tell you, it’s all part of the fun, a trying but indispensable component of America’s most prestigious endurance event. After daybreak on Sunday, I made my way to the skybox level of the grandstands on the other side of the track to view the remainder of the race from inside the Rolex Lounge. I watched the race quickly heat up as the bad weather abated and the track began to dry. 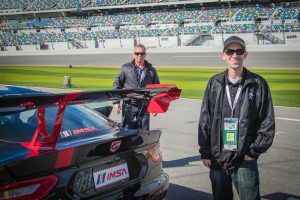 Not long after moving to the grandstands, I was given the opportunity to visit the flag stand and experience a few laps from the track’s most thrilling point of view. 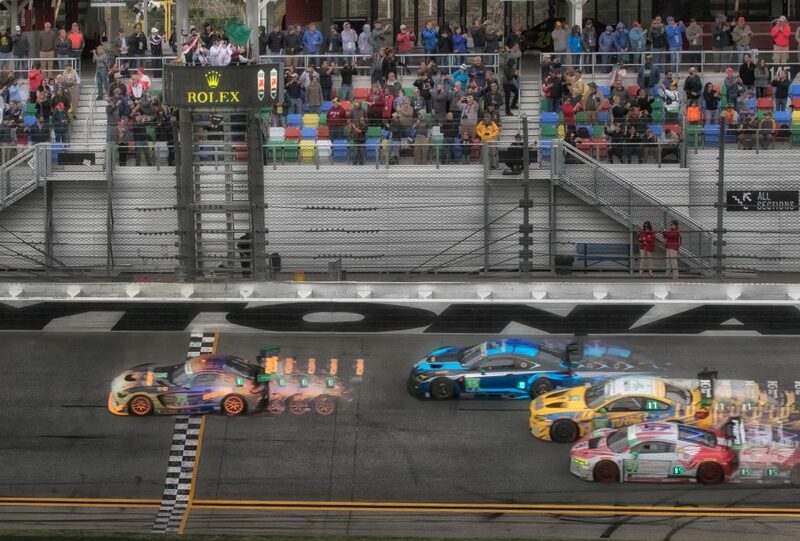 An exciting finish was in store for all in attendance, as teams from a cross-spectrum of Daytona classes competed head-to-head in the final hours. 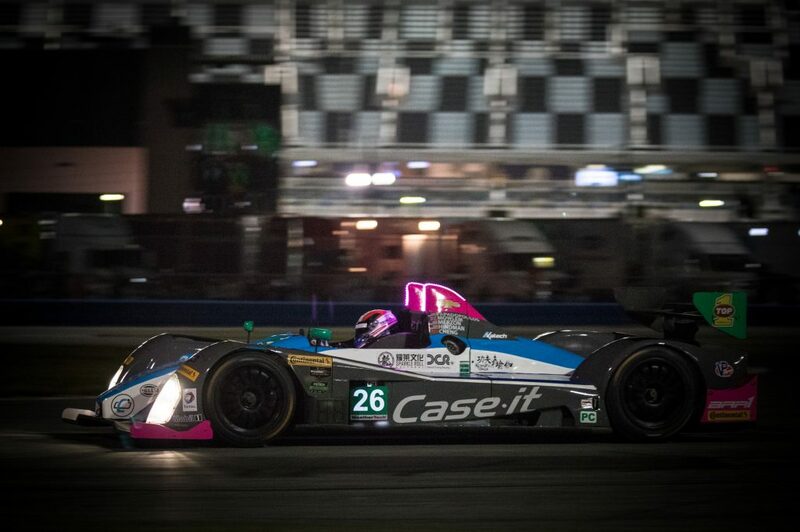 A total of four racing class designations were allowed to compete in this year’s race. Cadillac made their grand re-entry into the event in the newly-created Daytona Prototype International (or DPi) class which saw Caddys battle it out to the bitter end before the Wayne Taylor Racing team — which included Jeff Gordon, making his unexpected return to Daytona — took home the overall win with their #10 Konica Minolta Cadillac DPi-V.R prototype. The Wayne Taylor team beat out the talented Filipe Albuquerque in the final hour of the race after the former Audi LMP1 driver tried to aggressively shut the door on Ricky Taylor who finished off the final leg for the #10 team. 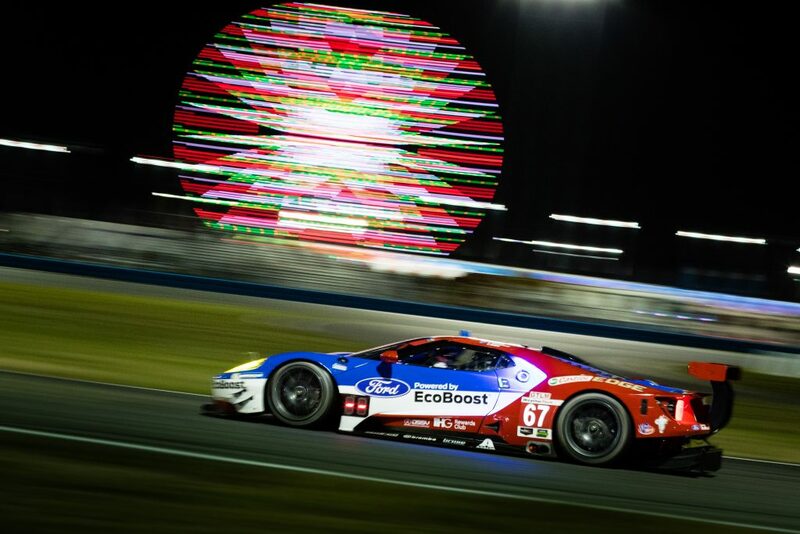 Other notable winners included Alegra Motorsports’ Porsche 911 GT3 R in IMSA’s largest and ever-so-popular GT Daytona (GTD) class, with repeat champions Chip Ganassi Racing bringing home yet another first place finish in GT Le Mans (GTLM) with their impressive #66 Ford GT. The car was driven in the final leg by Dirk Mueller who fought off a number of other GTLM teams in the last hour before taking the top spot at the podium alongside a second place Porsche 911 RSR and third place Ferrari 488 GTE. 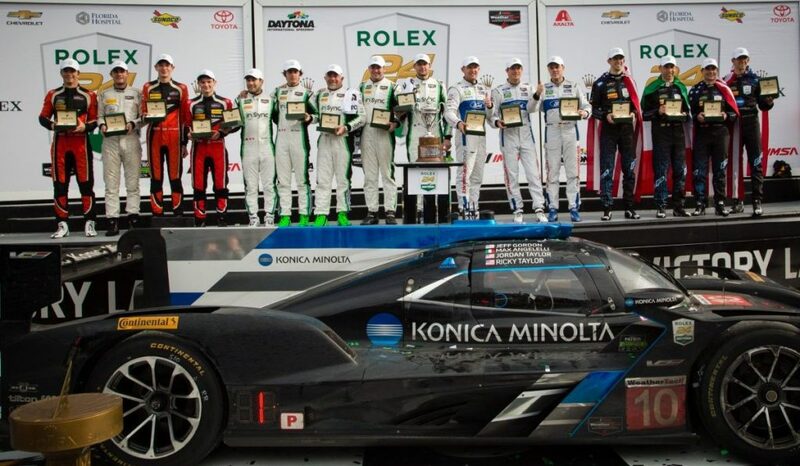 This year also marked the end of the Prototype Challenge (PC) class which saw only five entries into the 2017 Rolex 24 at Daytona. Adding to the marginal field of competitors in its class, the open-cockpit PC cars were further challenged with poor conditions and a number of weather-related track issues that plagued the field for almost half of the 24-hour race. 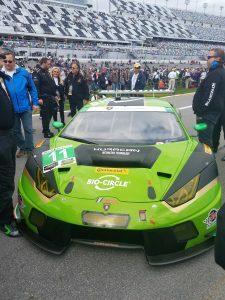 In the end, the PC trophy was won by the #38 Performance Tech Motorsports team in what may be the most uncontested class win in recent years. Heading back to the infield’s Victory Lane for the Rolex 24 trophy presentation offered yet another rare experience into the world of Rolex racing. 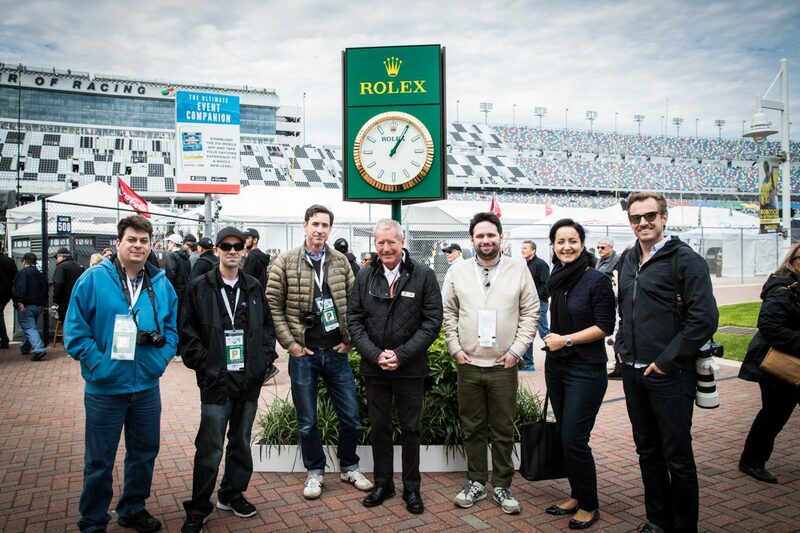 I was able watch history being made as the coveted Rolex Cosmograph Daytona was given to each of the winning team’s drivers before closing out the weekend of competition at the exquisite racetrack. 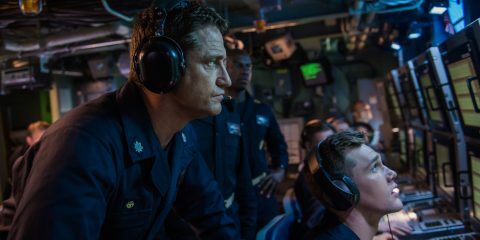 It was a fitting end to an absolutely amazing experience, one that I am confident our readers would certainly appreciate. 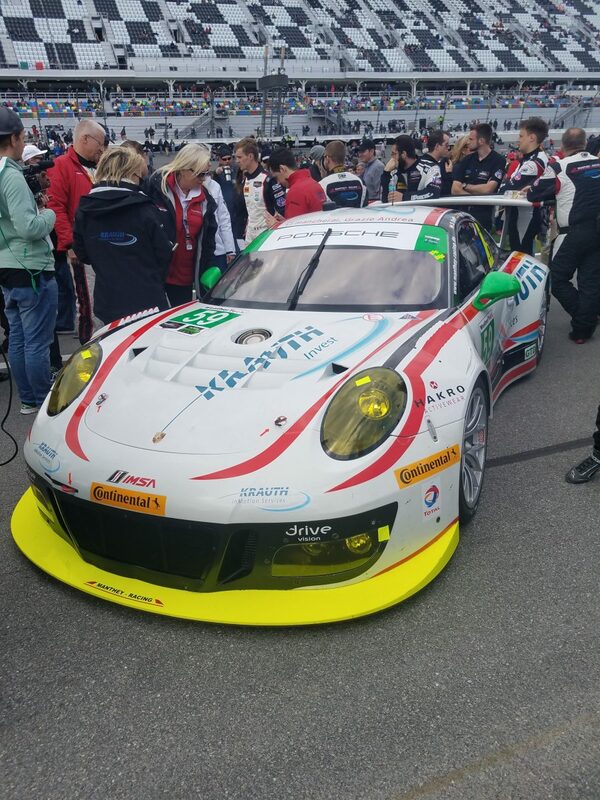 If you’ve never been to a high-powered, ultra-prestigious, history-making race, then the Rolex 24 is an event you simply must attend. 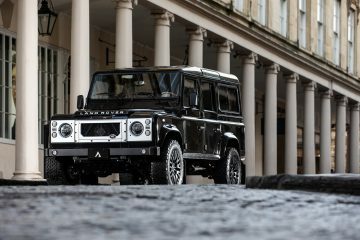 The brand’s brilliant display of passion for the sport and unwavering attention to detail make the momentous event one race that’s guaranteed to retain its illustrious standing in years to come. As it continues to cement the legacies of racing legends year after year, the future looks bright with Rolex at the helm of this celebrated gathering of the world’s finest sports car brands and most esteemed racing teams.